Mission homes for sale are divided into two distinctive communities of Kelowna: Upper Mission and Lower Mission. Situated on the southwestern side of Kelowna, these large areas are beautifully laid out into a blend of varied residential neighborhoods and natural landscapes. Quiet and yet home to many family-friendly amenities, these lovely and sought-after areas offer real estate options for many types of buyers. Everything from new condos and private luxury homes to agricultural properties and single-family traditional houses can be found in The Mission. Both sub-sections of The Mission are close to the lake as well as to Myra-Bellevue Provincial Park. Excellent schools, beach access areas, and a strong sense of community are all factors that contribute to the tight-knit environment in The Mission. The area truly feels as though it is its own retreat, connected to but separate from Kelowna. Search all Upper and Lower Mission homes for sale in the listings, all of which are updated on a daily basis! Or, keep reading about Upper Mission and Lower Mission real estate and find out what you can expect in each of these incredible Okanagan communities. Register today and unlock advanced online search features, including saved search criteria and complete listing details. In addition, you can receive complete updates on the properties of your choice, giving you an edge when it comes to buying Mission homes. Mission real estate varies between the Upper and Lower portions of the region, but many similarities are shared between them as well. Both Upper and Lower Mission are some of Kelowna's most coveted areas for home buyers. All the homes in Mission are well-built and have the potential for personalization and year-over-year appreciation. Housing in Upper Mission consists of larger newer communities and older, well-established streets. Those in the market for a custom home have the opportunity to select a spacious vacant lot on a scenic vista overlooking the lake and/or mountains. Completed homes enjoy similarly striking views and come in a range of styles. There are established mid-century homes, stucco single-family units from the 1990s and early 2000s, and a wealth of brand-new Craftsman homes with generous floorplans and modern finishes. Unique luxury homes fill the high end of the Upper Mission market and feature amenities such as swimming pools, lakeview terraces, and expansive hilltop locations. Upper Mission has many swanky homes above $1,000,000, many of which were commissioned by inspired luxury buyers and developed by prestigious builders and architects. Stunning examples of contemporary design can be found among Upper Mission's more expensive homes, alongside traditional estates, chalet-style manors, and multi-million dollar lakefront villas. With properties ranging from the $400,000s to almost $5,000,000, Upper Mission truly has something for every buyer and investor. Lower Mission real estate is found in a highly sought-after area for families, due to its excellent schools and property options that can be budget-friendly or very luxurious. Homes in Lower Mission start in the mid-$100,000s for simple mobile units in lush communities. Next are lovely condominiums in pleasant complexes, both new and established. These condo communities sometimes have great in-house amenities such as guest suites, game rooms, and health clubs with fitness facilities. Classic two-story traditional homes are found in family-oriented neighborhoods throughout Lower Mission. Subdivisions can be chosen based on proximity to a desired elementary school or simply for the friendly, inviting atmospheres so prevalent in these communities. Sleek, city-style townhomes and rowhouses are also located in Lower Mission, featuring top-of-the-line appointments such as quartz countertops, energy-efficient appliances, wine fridges, and patios perfect for entertaining. The occasional 20th-century rancher or bungalow goes up for sale in this area, with the unique advantages of mature landscaping, big lots, and excellent price-per-square foot value. Lower Mission also has some desirable upscale properties, pricing between $1,000,000 and $2.5 million. These are primarily luxurious farmhouses and acreages with extensive private grounds and personal amenities. Others have lake access and private docks, showcasing exceptional B&B potential. Pristine waterfront locations and seemingly endless square footage are common features in these enviable homes. Whether you choose to live in Upper or Lower Mission, you'll have access to wonderful amenities and attractions. Upper Mission is rich with parks, greenbelts, playgrounds, and sports fields so families can enjoy the outdoors in a safe and relaxed setting. Spas, Bed and Breakfasts, and wineries create a cultivated atmosphere in the area. 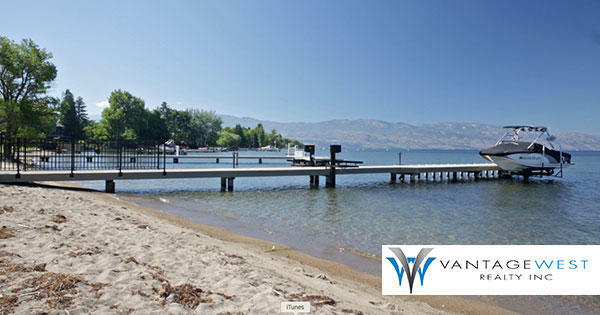 Find nice beach access spots and have a picnic on the sun-soaked shores of Okanagan Lake. Hike local peaks, and go fishing at peaceful Frazer Lake. Lower Mission is equally as attractive for buyers, with charming amenities such as Sunshine Market, Okanagan Mission Community Hall, and Okanagan Mission Tennis Club. Old Meadows Organic Farm & Market is a great place to pick up some fresh, locally grown produce. Other attractions include H2O Centre, which hosts an Olympic-sized swimming pool, and the Capital News Centre which boasts multiple hockey rinks, indoor and outdoor soccer fields, and baseball diamonds. The state-of-the-art Mission Fitness and Mission Recreation Park are also popular stops for the active community resident. In addition, residents are only minutes away from the amazing sandy beaches that Okanagan Lake has to offer. Contact Vantage West Realty for in-depth information for Mission buyers and sellers. Our team of experts can help you with all of your Kelowna real estate needs!